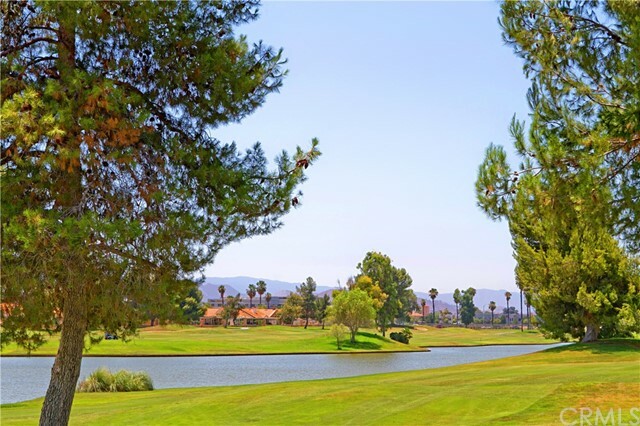 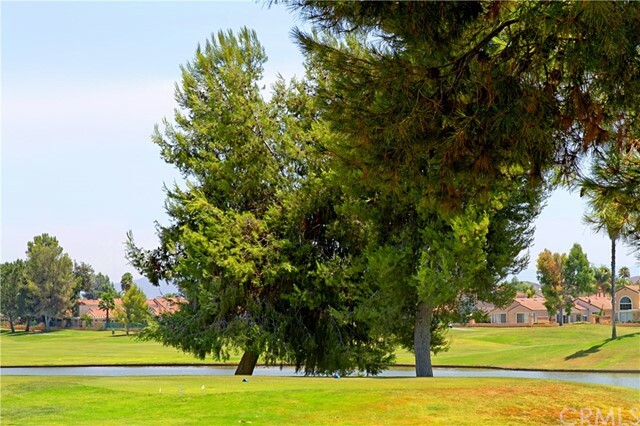 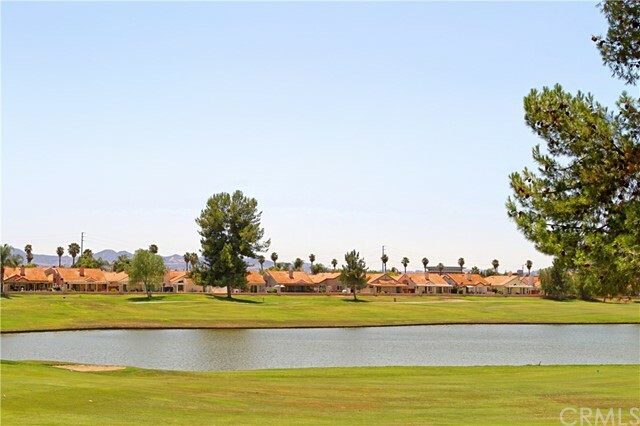 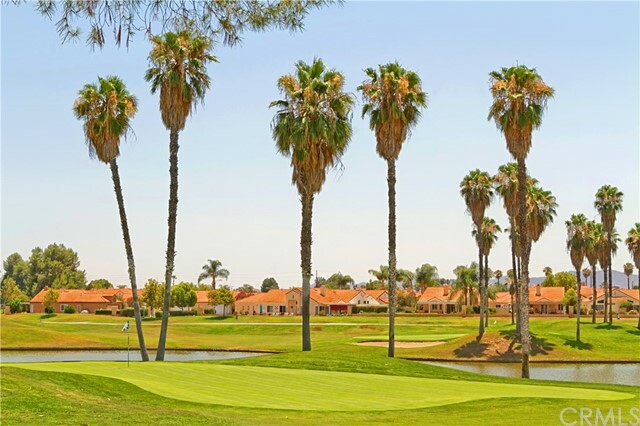 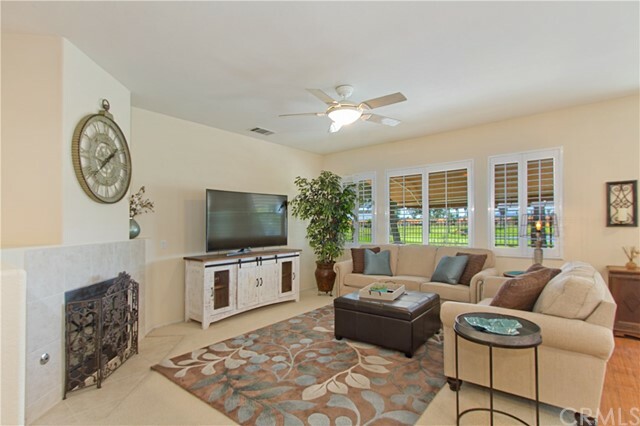 Gorgeous Golf Course and Lake View home in Resort Style, 55+ gate guarded community of the OASIS. 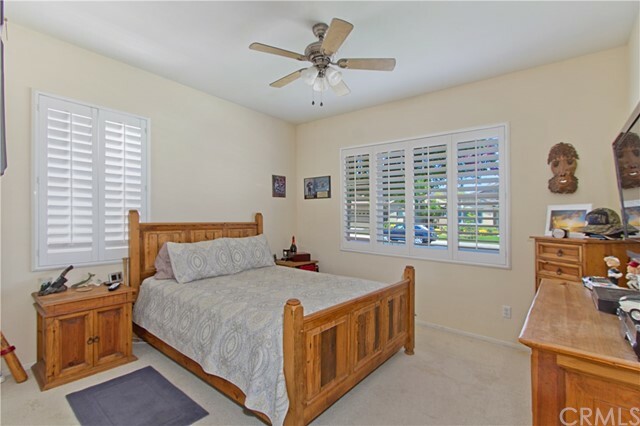 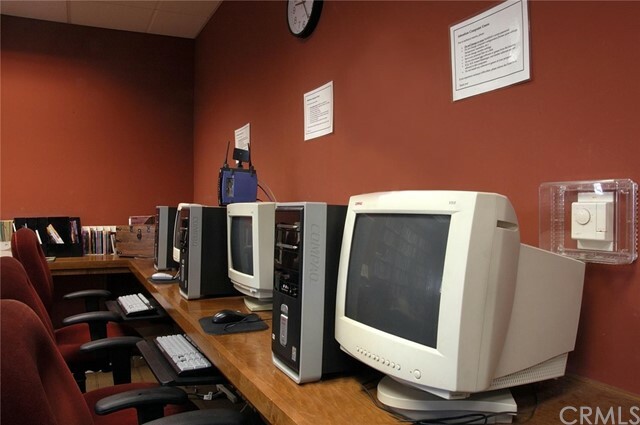 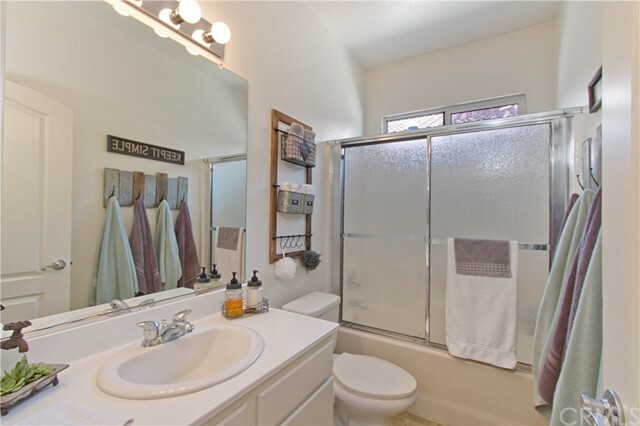 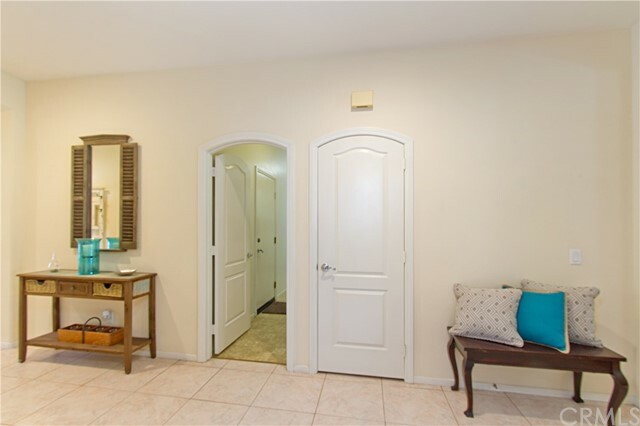 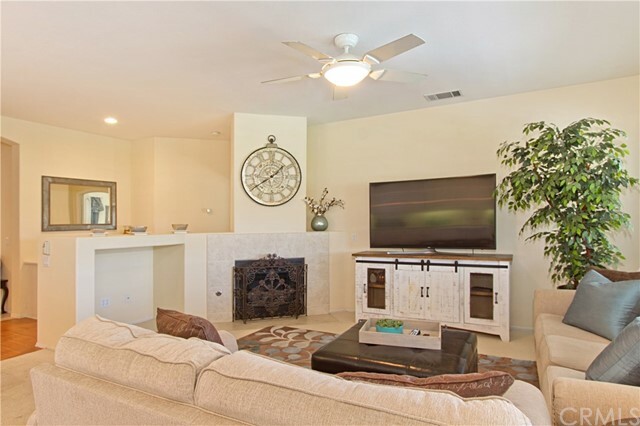 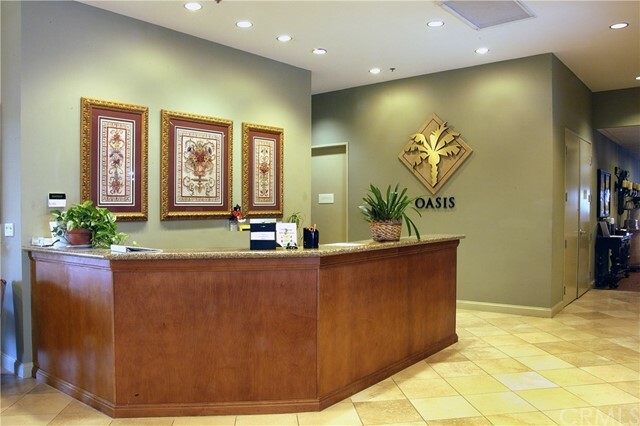 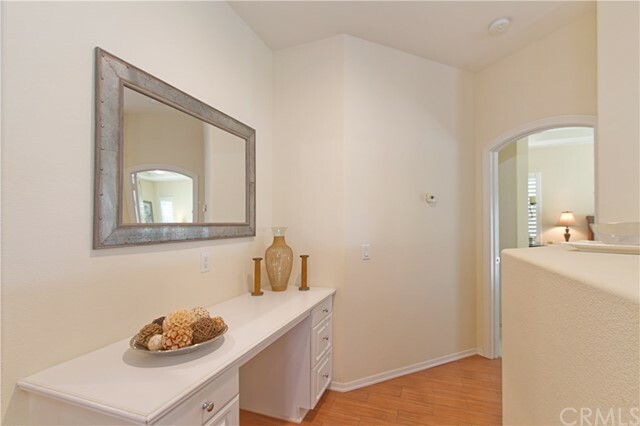 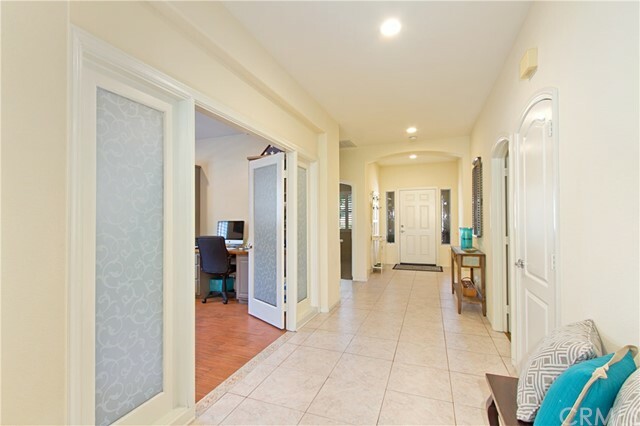 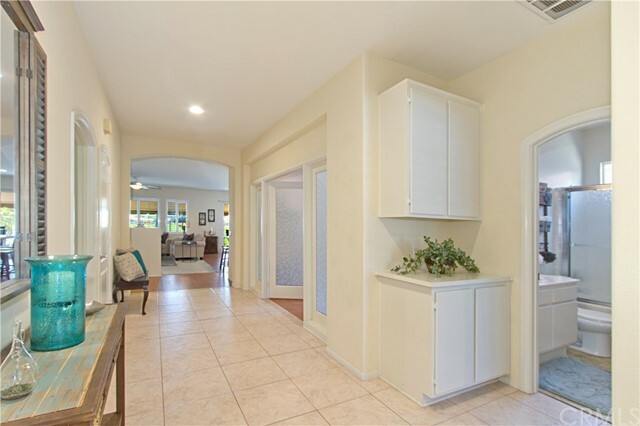 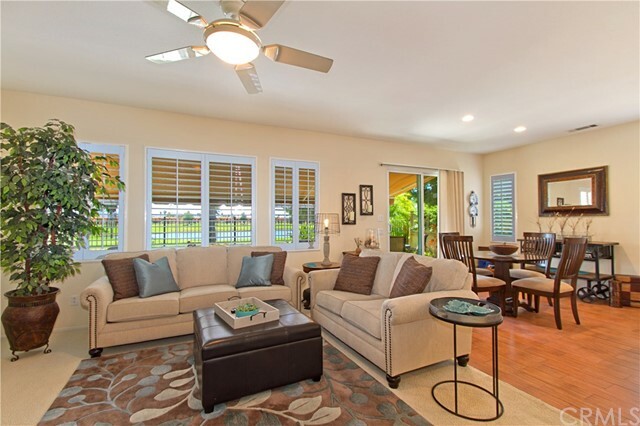 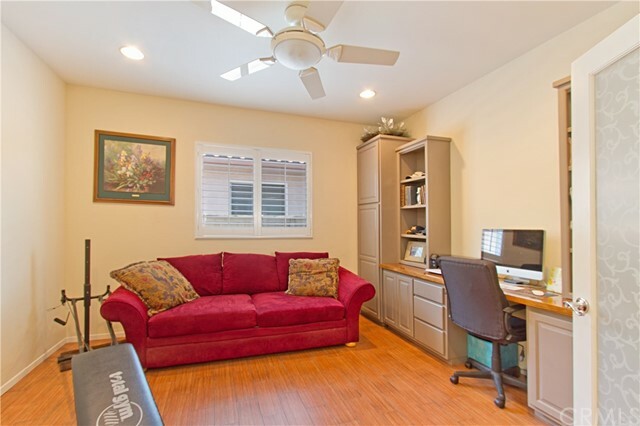 This two bedroom large office (could be third bedroom as has double door entry) has thousands in builder upgrades.Elegant arched doors,custom ceiling fans throughout, upgraded white cabinets in kitchen and baths, designer closet organizers, plantation shutters, pull down ladder to attic storage and more! 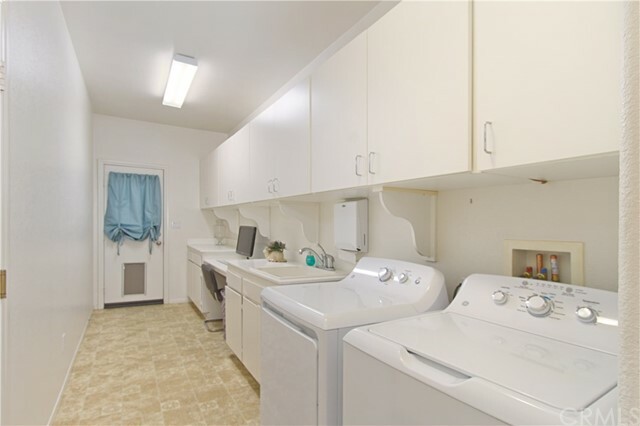 The extra large laundry has a built in desk area and super size utility sink. 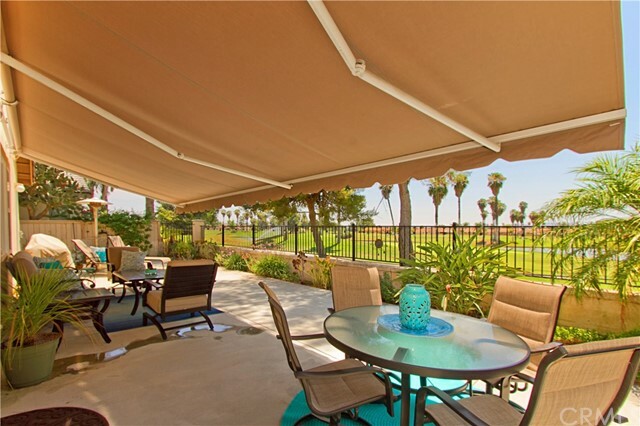 Beautiful low maintenance rear yard has sliders from master and kitchen out to the patio to enjoy the fabulous view. 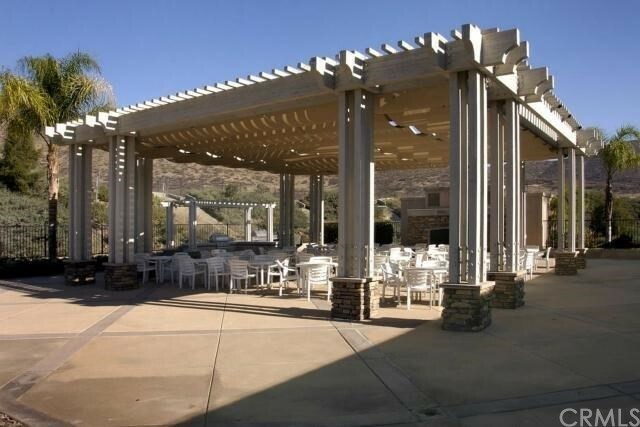 The patio has an upgraded retractable awning for optimal shade. 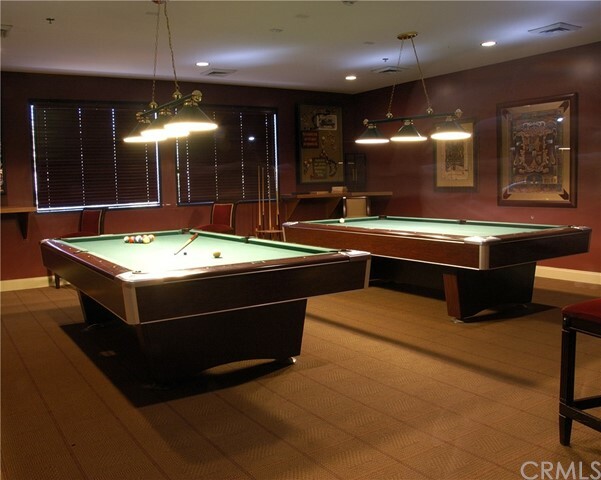 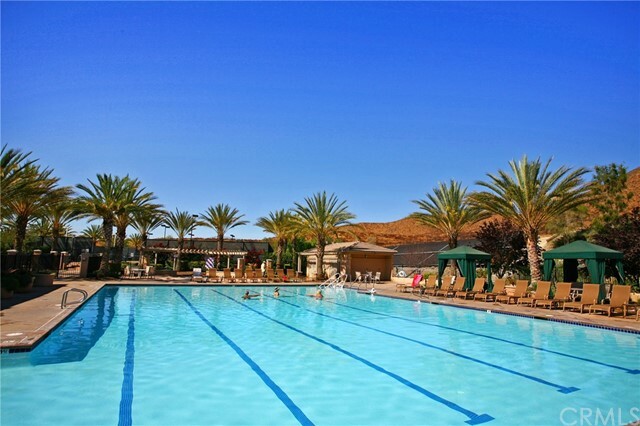 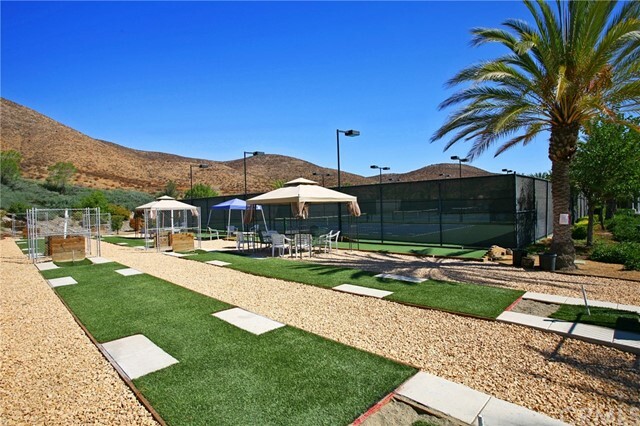 Come enjoy the good life and all the amenities this active community has to offer. 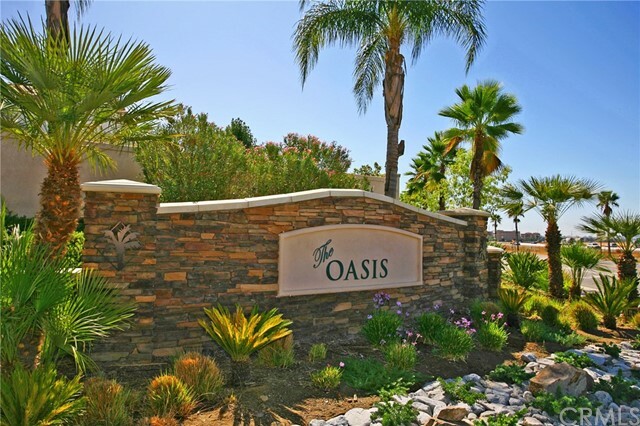 front yard water and maintenance (as well as trash service) are included in the HOA. 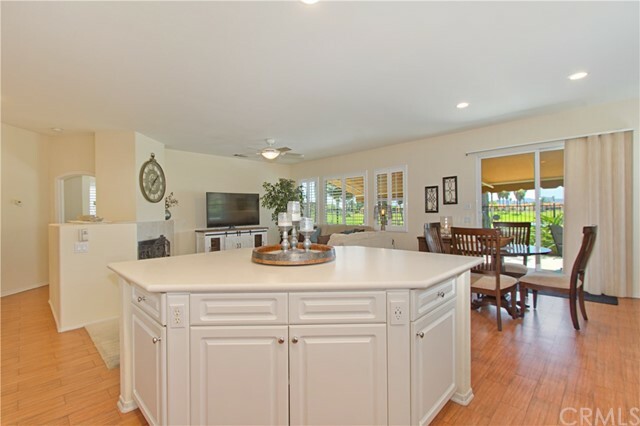 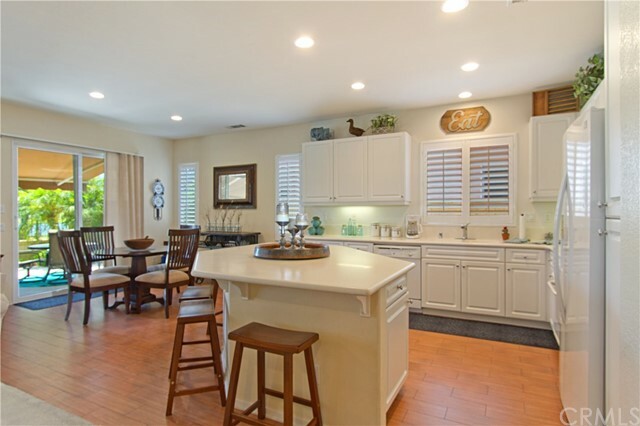 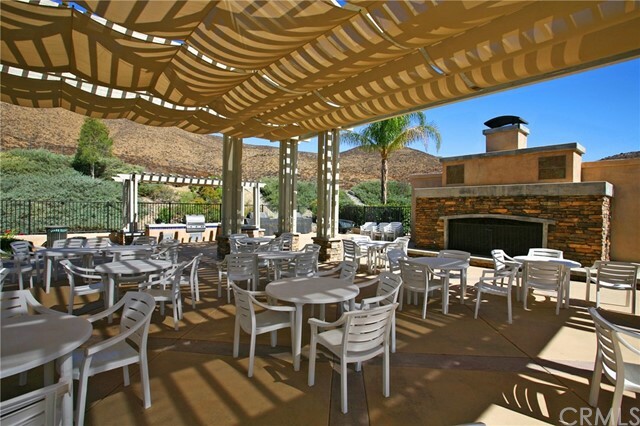 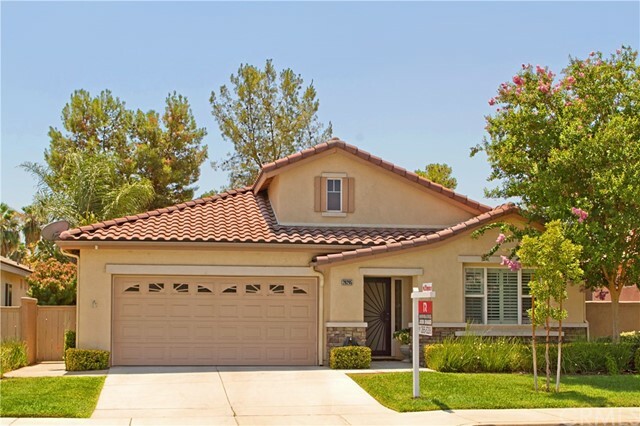 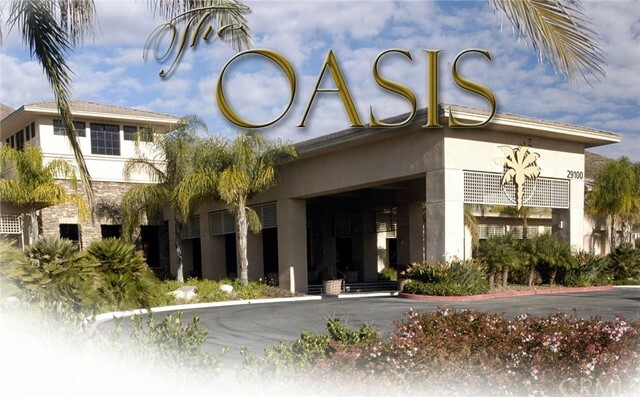 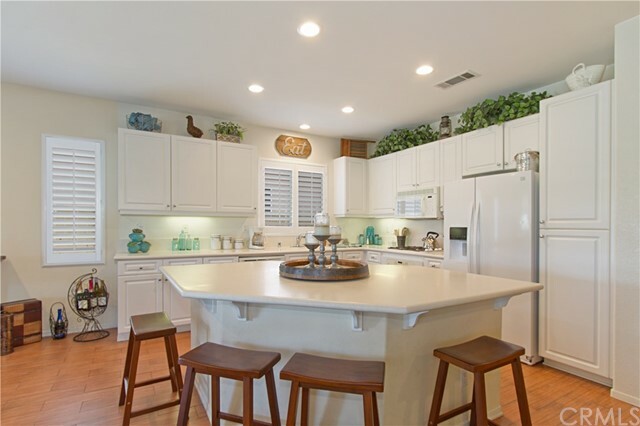 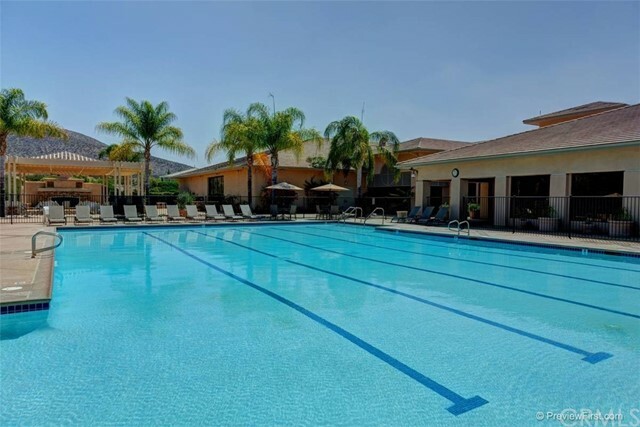 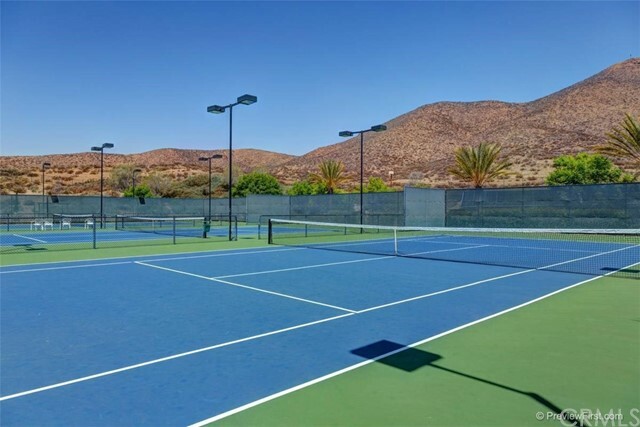 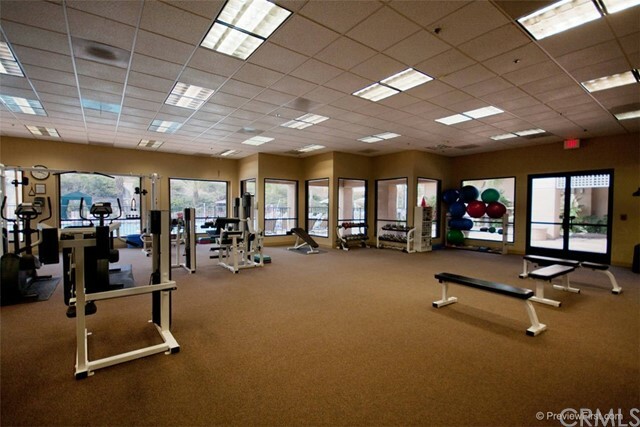 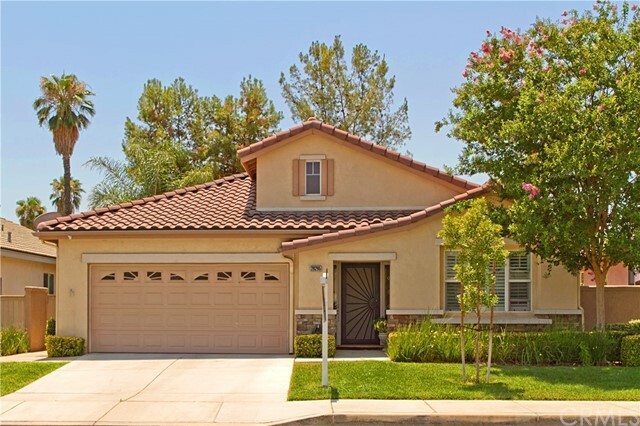 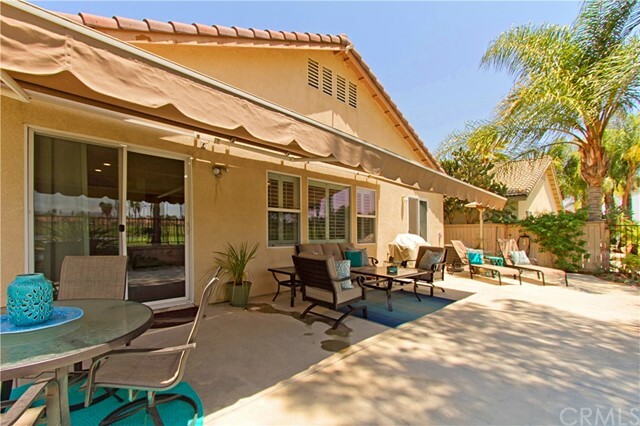 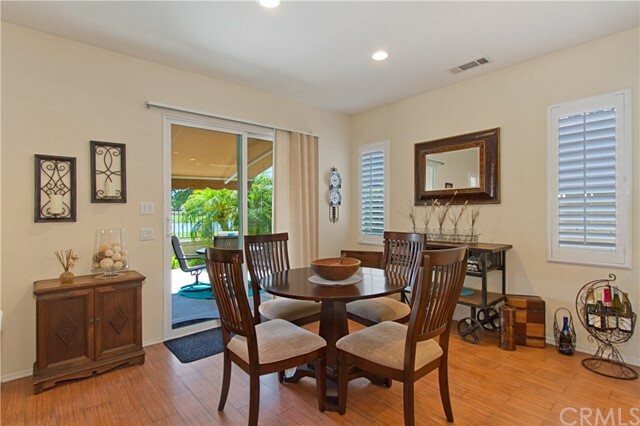 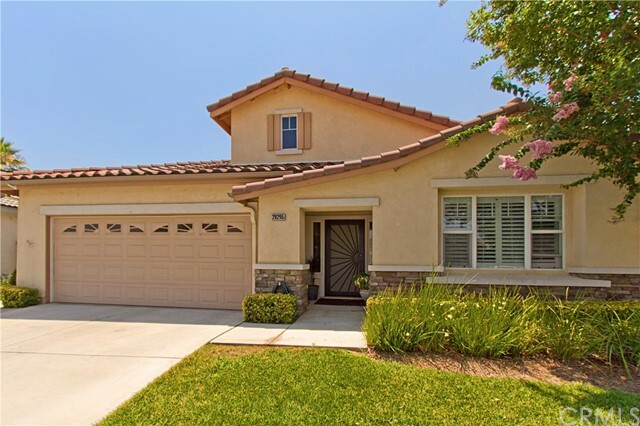 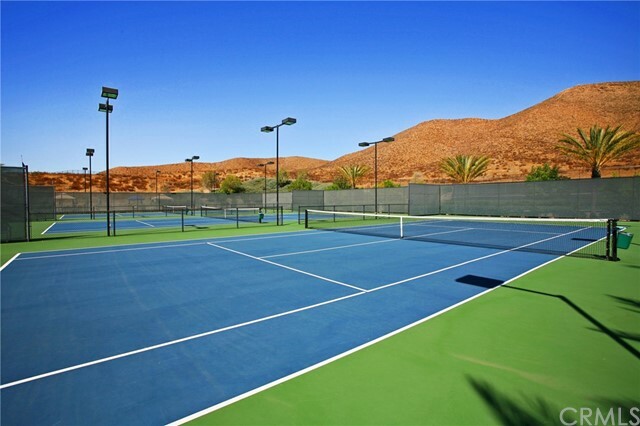 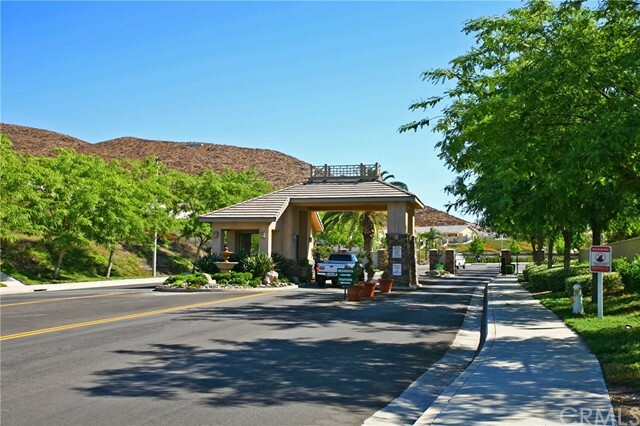 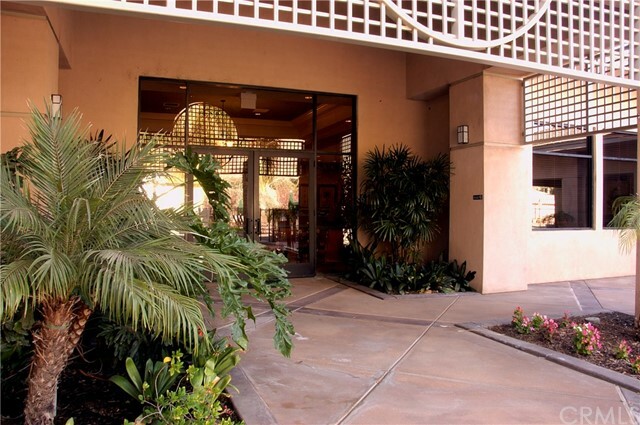 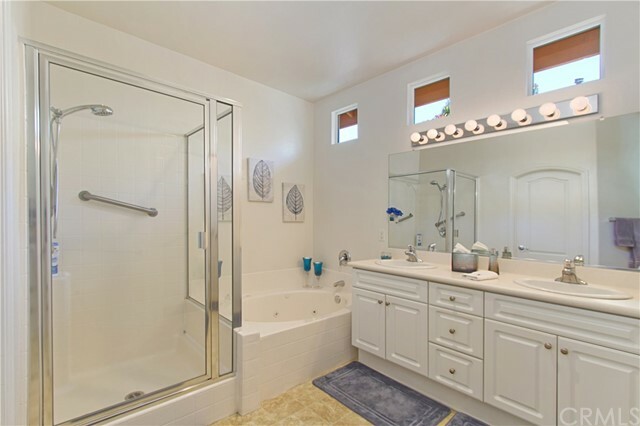 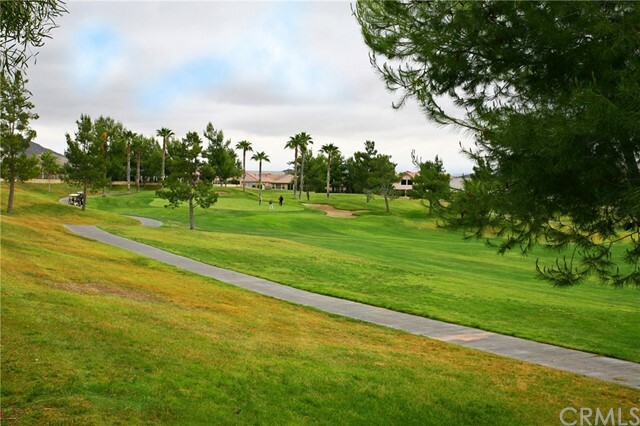 Approx one hour from beaches, desert, mountains and approx 20 minutes from Temecula Wine Country. 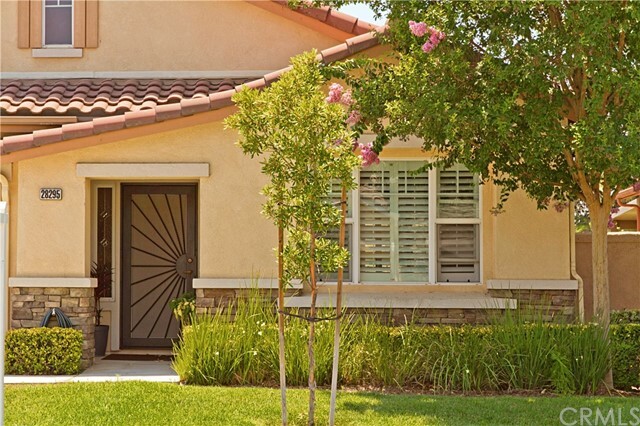 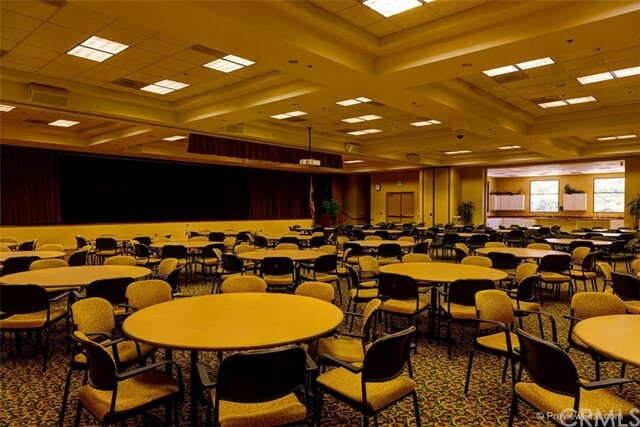 Minutes from medical, shopping, restaurants and freeway access. 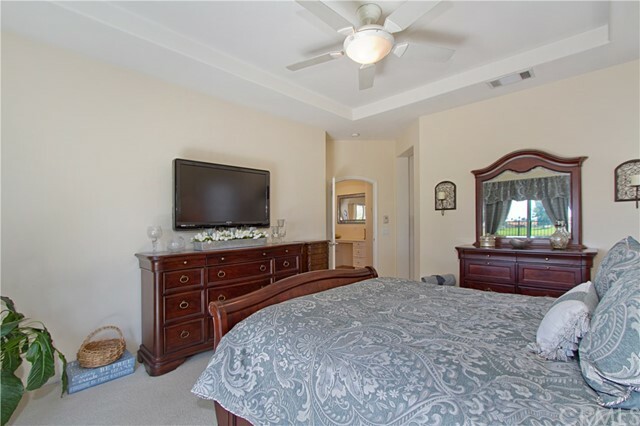 Low taxes as well and no mello roo's!